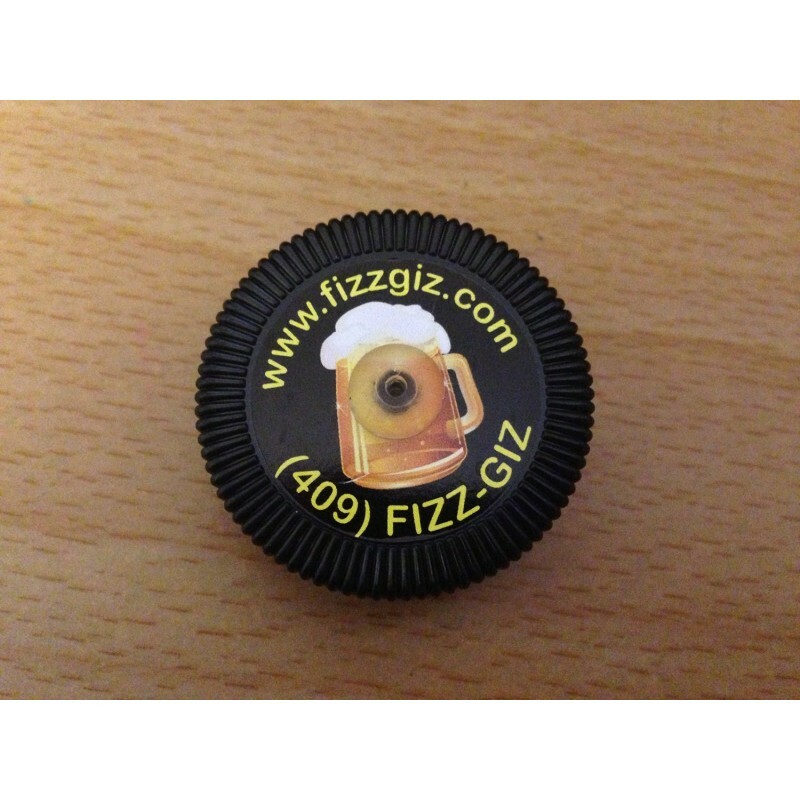 Fizz Giz Growler Preservation and Repressurization Cap 3-PACK - The Fizz Giz soda maker lets you make your own soda! 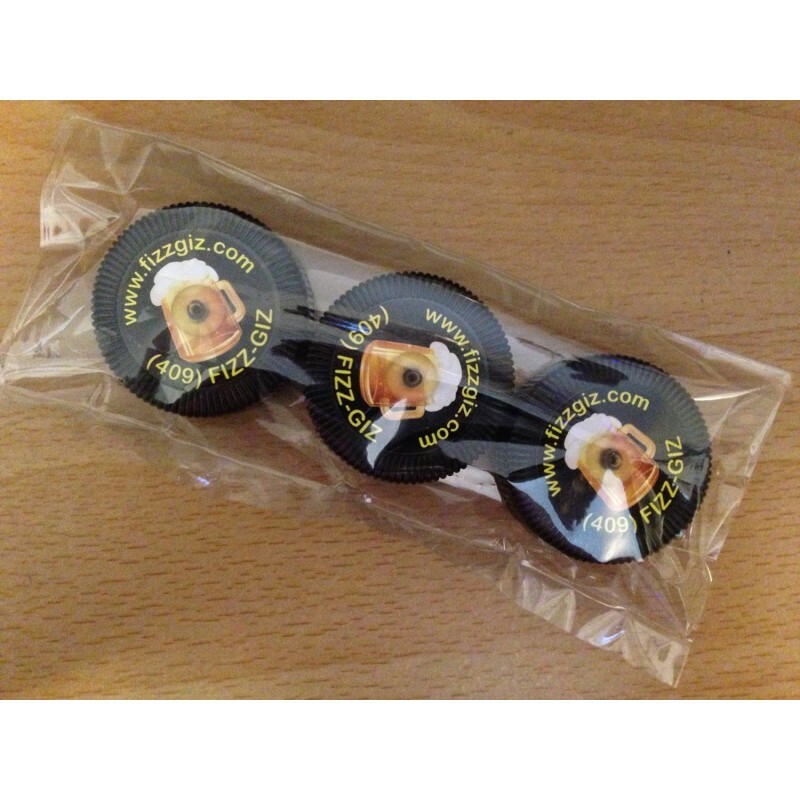 GVC 3-PAK (phenolic) – FiZZ GiZ growler preservation caps let you purge air from and repressurize the head space with pure CO₂ after each use. Never lose another growler of fine craft beer to oxidation! Now your finely crafted beer can have the protection it deserves. Even after opening your growler several times, the beer will remain fresh for weeks. Beer stays fresh in a properly filled growler until you open it. 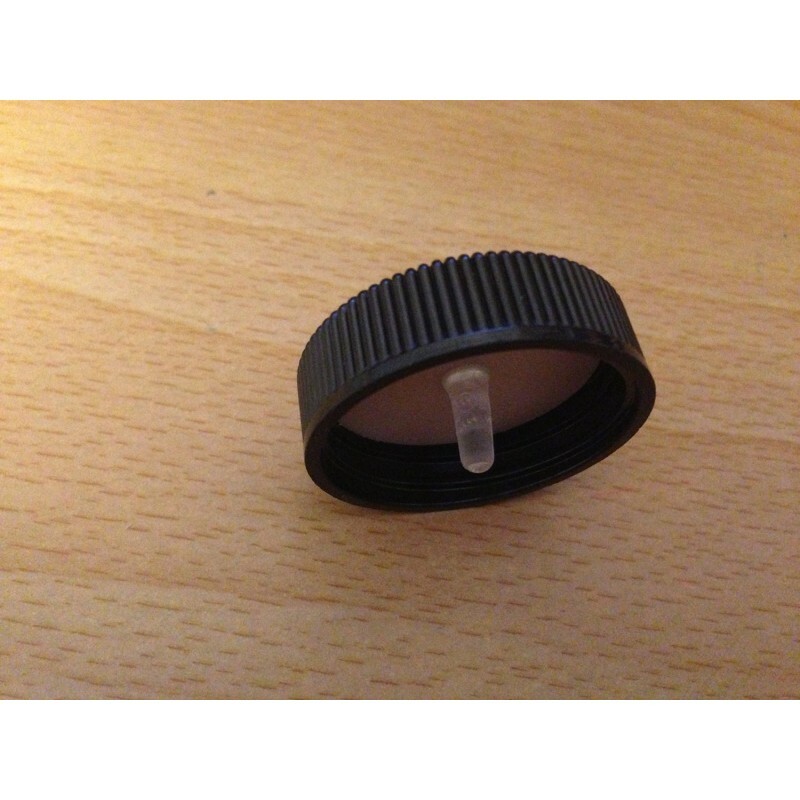 Once air gets in the bottle, it can lead to problems if left in there. Maintaining the perfect nose, mouth feel and freshness of your finely crafted beer can be achieved by reconditioning the head space. It's a simple 2-step process: Before re-capping and refrigerating, purge the air from the head space of your growler with a couple of quick "squirts" of CO₂ directly into the mouth of the bottle. Then cap the bottle with a FiZZ GiZ growler preservation cap and re-pressurize the head space with another squirt of CO₂ through the cap's patented plug valve. 10-15PSIG is the right amount of head space pressure for beer in bottles, growlers or kegs. 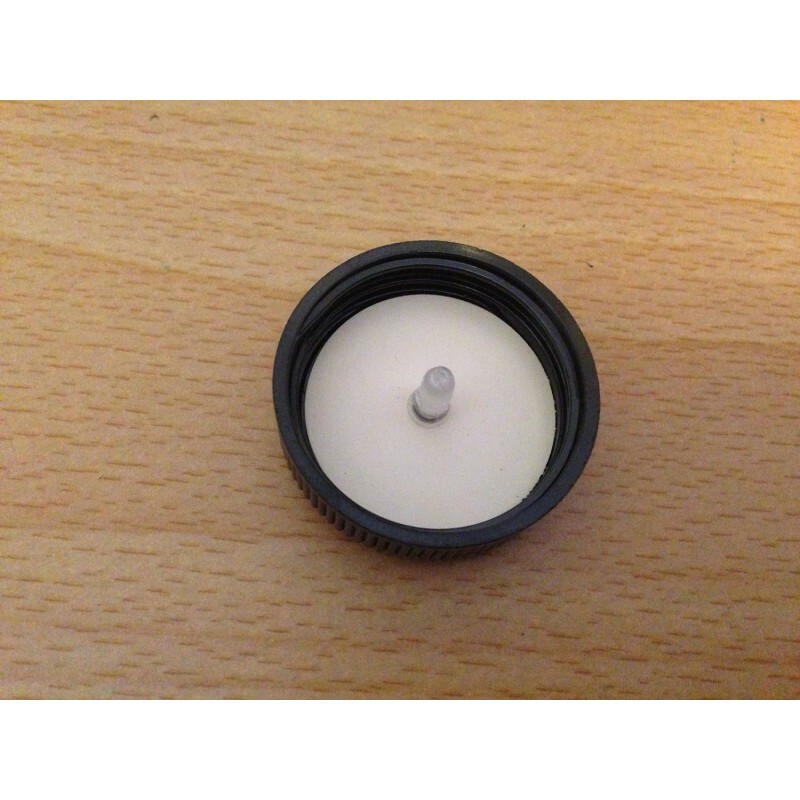 FiZZ GiZ growler preservation caps are made from thermoset phenolic resin (Bakelite) and have a totally inert white rubber inner sealing surface facing the beverage. The liner's FDA status complies with 21CFR 177.26. You will love my growler preservation caps. They come with an unconditional guarantee - your absolute satisfaction or your money back - no questions asked. Purging the head space prior to capping removes all the air and keeps your beer fresh by getting rid of the oxygen. Repressurizing the head space after capping maintains the CO₂ level inside, ensuring no loss of carbonation.